What Do You Know about HGH? Interested? See below or Click Here. Do you lack energy during the day and resort to taking lots of energy drinks? Do you want to release some weight but just can’t figure out a way to eat less? And how about cravings? Have you figured out a way to eliminate them? Do you get sick more than you think you should? Do you need to build up your immune system? Have you heard that eating more alkaline foods can lead to better health? Do you know what one of the acidic liquids you most likely drink, that is almost like drinking poison? These questions and possibly other health issues seem to resonate with a lot of people. I have been interested in health products for over 25 years and companies seem to keep coming up with better and better products. Some are truly extraordinary. Below I will tell you about some of the extraordinary products that will address the questions I have asked above. Most of them are products that you can get through me. When I find a product that I like and it is sold by a MLM company (Multi-Level Marketing), I will sign up as a distributor in order to get the best price. I do not sign up with the idea of going into the business. However, if you feel, after doing your own investigation of any of the products, and want to buy a product, I would appreciate it if you would buy it through me. I will not try or pressure you into selling any of these products. If that is something that you would like to do, I will help you be successful as there are tried and true methods for doing this, but you will make that decision on your own. Please take some time and look at these products to see how it can benefit you. They are all special and extraordinary. 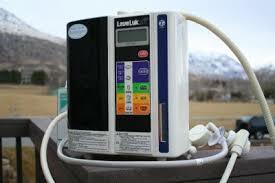 Click here for a complete list of all of these products or just scroll down for a brief summary. What Do You Know about HGH? There is a new product called Somaderm Gel. 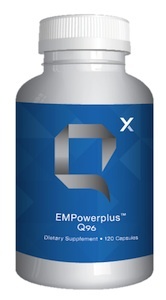 It is a cutting edge, scientific breakthrough utilizing the power of HGH. When applied directly on the thin layers of your skin, it passes through the skin and goes directly into the blood stream. 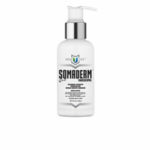 New U Life’s SOMADERM Gel is the only transdermal, FDA registered product, containing Homeopathic human growth hormone available without a prescription. The molecular breakdown of HGH found in Somaderm Gel is a synthetic USP human growth hormone (somatropin). In clinical human studies, continued use of HGH has been shown to offer incredible results. Many have noticed subtle to significant results in as little as a six month period. Click here to see specific details what you may experience from Somaderm Gel. There are three videos that you can watch that will help you make a decision about whether or not you will want to tell your friends or family members who suffer from mood disorders. Depending on how close you are to a person that has a mood disorder, you will know that traditional medication doesn’t work very well. People who have these disorders, as a general rule, do not live happy lives. So please, if you know someone with brain fog, anxiety, depression, mood swings, lack of focus or attention … or just wants more clarity, coping and calmness in their life, please watch these videos as there is hope for these people. Even your best friend won’t tell you!! They won’t tell you because they don’t know either. So, I guess I am going to have to be the one. Have you ever heard that drinking water is really good for you? Pretty revolutionary, isn’t it? Have you ever heard that drinking filtered water is even better for you? And, what about bottled water? That is even better, right? Did you happen to read the February 2008 article in Readers Digest about the problems with bottled water? Not to mention all the millions of plastic bottles that we are throwing away every day. Did you know that there are many different kinds of water? Most of which are not really that good for you, but some water could almost be called miracle water? Ok, I know what you are saying to yourself because I said the same things to myself this water. How different can water be and what is this all about?